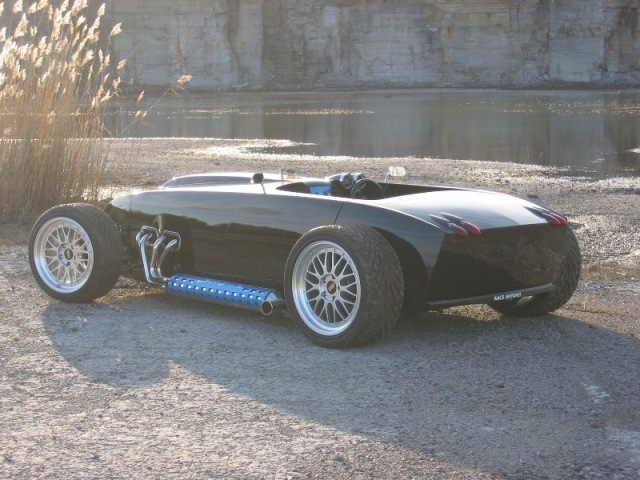 The Exomotive Exocet is the second coming of the Lotus Seven. Surprised? So were we, at least when we first wrote it down on paper. Those are big shoes to fill, but the Exocet’s simple construction, low cost, and common drivetrain make it so. Lotus Sevens, still sold under the Caterham name today, were created to go fast for little money. They used common Ford running gear, and were usually built in garages by amateur mechanics. Aside from a different donor and a slighdy different look, Exocets are a bit like those famous Lotus kits. Want to build one of your own? Exomotive has kits starting at $6999. An Exocet might look like a pile of tubes, but… well, it is. 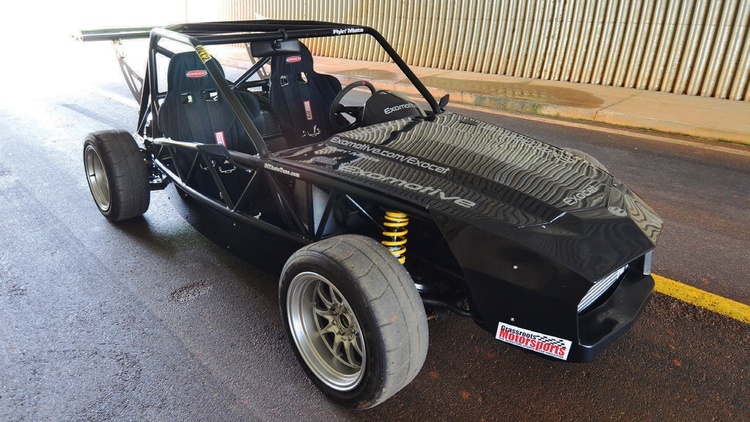 Thanks to a design that’s somewhere between an old-school sand rail and a one-off track machine, Exocets are tube-frame kit cars that are startlingly fast. Their party trick? These kits come ready to accept all of the running gear from an NA- or NB-chassis Miata, so owning your own 1400-pound track machine is only a few nuts and bolts away. This also means that most of the zillions of aftermarket parts for a Miata will also fit an Exocet, further opening up the builder’s options. 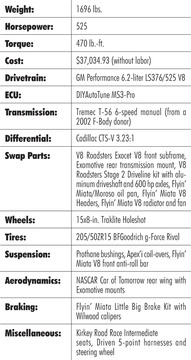 Want coil-overs? Done. Stiffer anti-roll bars? Just order them. A Chevy V8? It’s a bolt-in kit. We sampled three different approaches to an amped-up Exocet at the Classic Motorsports Mitty at Road Atlanta. 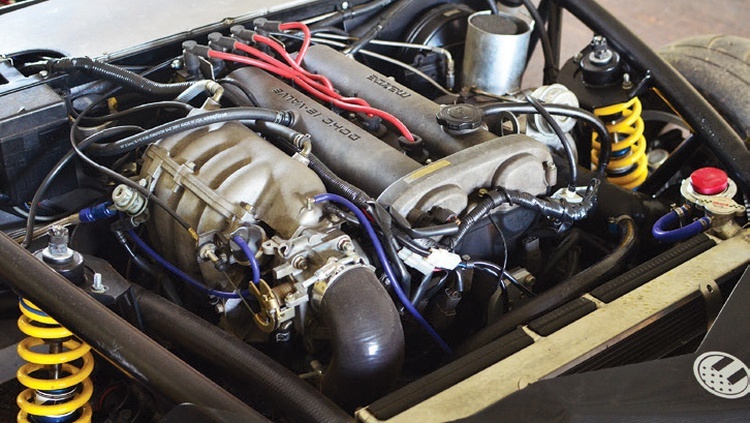 Turbochargers are the most popular way to turn a Miata’s knobs to 11, so this Exocet sported the larger 1.8 engine with a Flyin’ Miata FMII turbo kit. The Exomotive team was quick to point out that even when making 310 horsepower, the donor car’s original drivetrain had been completely reliable. 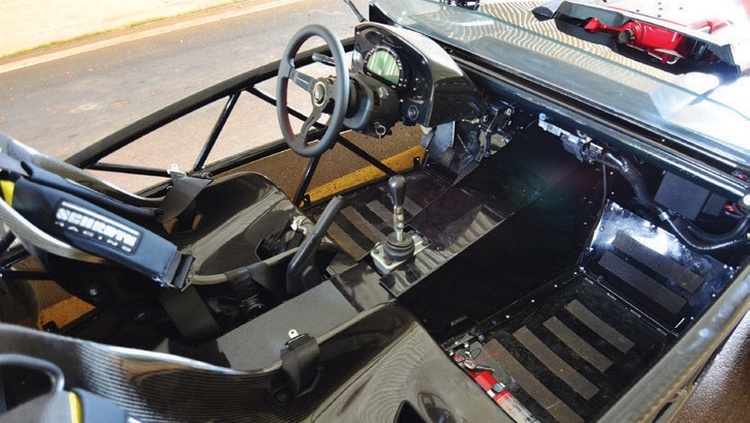 The foundation is the Exocet Race chassis, which adds a few more roll cage tubes and steel floors. Thanks to these added safety features, this chassis is also heavier than the Sport kit that formed the basis of the other two cars we tested. How’s this one drive? It greeted us like an old friend. Think turbocharged Miata, but lighter, more taut, more responsive, and way more fun. This car required light, precise inputs, and rewarded us with fun, clean autocross runs. We’re also big fans of the Race chassis’ extra safety equipment, both for form and function. This Exocet had been together for the longest amount of time among our test subjects, and it showed. 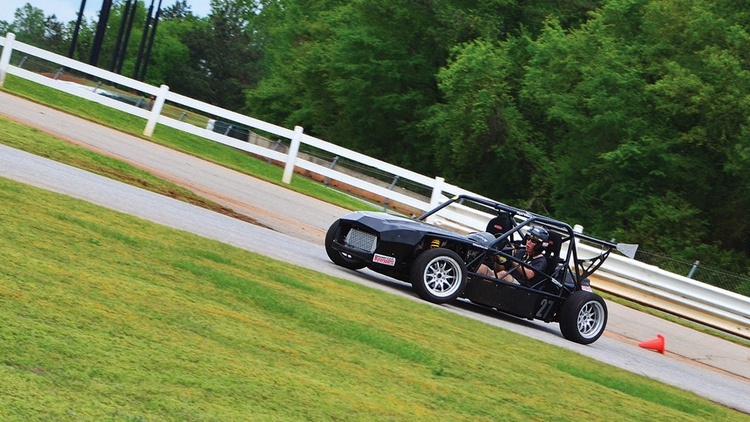 Time on track had allowed the Exomotive team to sort and tweak this Exocet into a true joy to drive. We really couldn’t find anything to dislike about this car. Plus, it’s by far the least expensive to build. Apparently the car had just been finished, and the ECU still needed a little bit of fine-tuning. We weren’t too worried, though: We were there to drive a 525-horsepower go kart, not complain about ECU tuning. Drive it, we did. Gone was the Miata-like feel of the turbocharged Exocet, replaced with that hammer-striking-metal sensation that muscle cars exist to provide. On our tight autocross course, this Exocet was a drifty, smoky handful, and we were really just along for the ride. Smiling, of course. 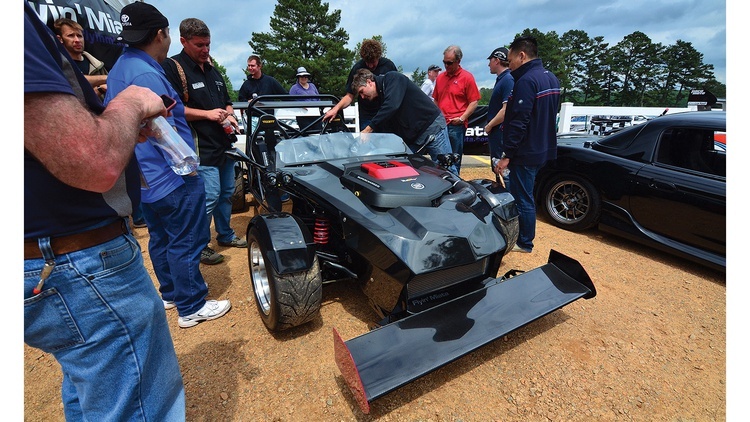 Does a 1700-pound autocross car need this much power? Probably not-we actually turned slower times than we managed in the well-sorted turbo car. In our opinion, the value here lies in the car’s wow factor, and in its ability to emit giant clouds of tire smoke in any gear and at any speed. V8s are fun, and this is about as close as you can get to riding one like a jockey. We’d driven a nutty Exocet: turbocharged to 310 horsepower. 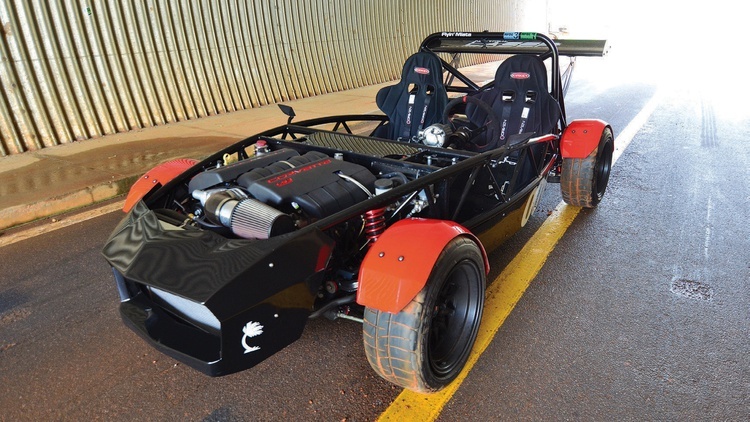 We’d driven an insane Exocet: propelled by a giant V8. It was time to drive what we expected would be either the best or the worst idea yet: an Exocet with the supercharged LSA V8 from a Chevy Camaro ZL1. We started with one question: Why? The car’s owner loves going fast, and loves long motorcycle rides, but life got in the way and made riding no longer feasible. 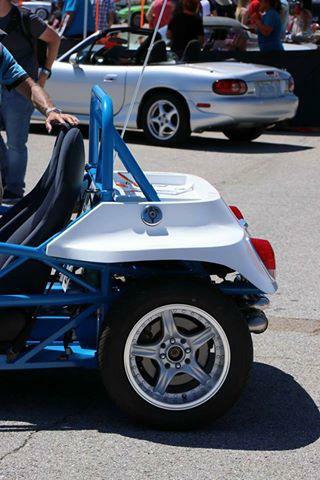 So he and his son asked Flyin’ Miata to build a proper replacement for a fast motorcycle. After a few brainstorming sessions, this missile was the end result. How’s it drive? It makes so much power that we aren’t even sure we ever floored it. We mostly remember fear, tire smoke, and that awesome whine that a supercharged V8 emits under load. Shifting? Why bother-there’s an infinite amount of torque in every gear, so we stayed in second the entire time. Though all of this was good fun, we can’t help but think that a lot of the Exocet’s original design intent was lost. Exocets are inexpensive, nimble track cars that are a joy to drive. If that’s the definition, then the XXXocet wasn’t really an Exocet. That didn’t stop us from taking another lap. Hey look at that! Exocet has managed to do a copy of the Lotus 7, Super 7, Chaterham 7, etc. Not that that's a bad thing!! Actually the Miata, especially the NA and NB are as close to what Lotus used to do everyady as you'll find anywhere. So the Miata motor is a natural!!! Why anyone would ever destroy either a Miata or a Exocet with yet another Chevy based cast-iron pushrod valved boat anchor is beyond me!!! My last ever Chevy, much less US built V-8 was in my newly bought 1970 El Camino SS. After less than a mile driving a Europa and about the same distance driving a 240Z proved to me, I really didn't want to return to the age of dinasours!! I sold that absoultely perfect conditioned less than 10,000 mile El Camino at a loss of $1,500 and felt I got out cheap!! Remember, this was 1971 and the El Camino cost me less than $3,800 brand new. So a $1,500 dollar loss on a less than 10,000 mile six months old vehicle was almost half the cost of the ride. I have driven several Chevys since. Including a Gen 3 Corvette which I was offered to drive for free as a 100% paid racing sponsorship. I said "Thank you very much! I'd rather spend my own money and drive a car I enjoy!" The favorite car I ever drove RW was a Twin-Cam Europa! I had a JPS on order with half the full retail price paid cash in advance. The only reason I never owned that car is because the S.O.B. running the store in Cincinnati sold it between Tuesday when he told me it was in and Saturday before I could come and pick it up!! Mixed emotions!!?? Huge!! 1. At that point in time I lusted after that Europa more than any other I had ever driven to that time. 2. Having said that. Since my JPS Europa was sold without my chance to pick it up. I discovered the '71 Datsun 240Z which cost almost the same amount and served me well for over 25 years and then I sold it for about twice what it cost me new. And I've regretted the sale of that Z car pretty much every day since it happened!! TBTG: I now have a supercharged 2002 NB Miata which I took on an over 6,000 mile road trip this Spring, blew off more than one "pretender" driver, and had Zero Issues! How many sixteen year old 1,800cc sports cars with over 218 horsepower at the rear wheels would you, or I, trust for that same trip?? FM + LS3 + EXOCET, I can only dream of such a machine. This is the crux of the matter. Wants versus needs. Be aware of which you are building for, and you will be happy with the results. I note the use of the word "Fear" when it came time to describe the XXXocet. I have to agree, I've driven ridiculously powered cars that can't put the power down. It's fun for a few, but then gets old very quickly. I'd like to see a greater percentage of the weight on the rear if you're going to try and harness V8 power levels. It'd also be interesting to compare a Catfish versus a similarly powered Exocet at the track and thereby see what the aerodynamic penalty is. Why anyone would ever destroy either a Miata or a Exocet with yet another Chevy based cast-iron pushrod valved boat anchor is beyond me!!! Surely you realize the miata motor is cast-iron, and the Chevy is all aluminum. Sounds like the wine-and-cheese m.net crowd. The big V8 power is something I've seen in Roadkill's Vette Kart. It also has the ability to melt tires at will but is nearly useless in the corners because of lack of grip. 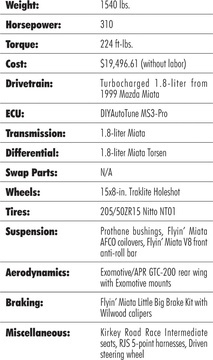 I'd like to see lap times compared with all of these against a stock build Exocet and a stock Miata. I used to have a StalkerV6 (slightly upsized Lotus 7 clone). 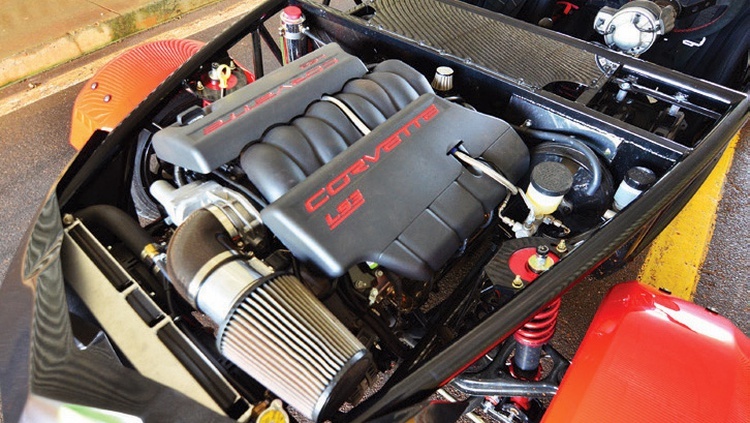 They started off with the 2.8/3.4 liter Chevy 60 degree pushrod motors, which were plenty fast - until they started puting supercharged 3.8s in them, which were plenty fast - until they started puting LSXs in them. The bigger motors were faster, but took more skill to extract the speed from. At first they were actually slower on an autocross course. The extra power was more useful on a road course because you needed it to overcome the aerodynamic penalty. That's why I'd like to see the Catfish V Exocet road course comparison. At speed, aero is so important. Hell, Lotus 11s were hitting 140 at road courses with little pushrod iron motors. The same mill in a 7 would probably be lucky to break 100. So why the V8 if they're only significantly faster under specific conditions? Fun. Bragging rights. Duh. As of when? Although I'm surely a lot older than you, I never driven or to my knowledge even seen an aluminum Chevy block. It's obviously not stock!! As of 1996, the LS series V8 engine used in the Corvette and then the 1998 Camaro have been all aluminum. You can read about it here. As of now, even the truck engines are all aluminum. With the exception of diesels, I don't think GM actually has ANY iron block engines in production. It's too bad that the build quality didn't get mentioned in the article, as I know it was a talking point at the time of the test a couple of years ago. The XXXocet also needs a little more room to play than an autocross course - and everyone involved in the build knew that it was ridiculous. Equating the Lotus 7 and the Exocet isn't really fair. I've driven both (and homebuilt Locosts, and Westfields), and the 7 is the byproduct of a different time. The difference in strength, rigidity and occupant protection is huge - although the Exocet does weigh about 200 lbs more when you're comparing like to like. You can also put a modern scale human being wearing actual shoes into an Exocet. Here's an Exocet frame beside a current Westfield frame. Yes, the floors are level with each other. True, the Exocet is a much more evolved beast, but they are still spiritual brethren, and my points about weight distribution and aerodynamics apply to both -In fact, the Exocet is probably worse in both those areas. Holy Tar that hp/lb ration on the XP-5. ON 205 section TIRES> You are all literally insane. The Exocet has more front weight than a Seven because the engine isn't as far back - it inherits the engine location from the Miata. My Locost had a slight rear weight bias with a driver, the Exocet does not. I haven't checked aero, they're both pretty awful. They do feel quite different to drive. Exocets are considerably faster than Miatas with the same drivetrain. The most noticeable difference is in braking points. On a fast track, the V8 power will help overcome the crap aero. On a tight track with equivalent chassis setup, I doubt there's going to be much difference. 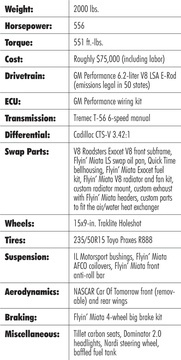 We're about to starting building a performance-based LS3 Exocet for a customer, it'll be fun to set that car up. As of 1997. So that would make it 20 years now!!! Keith, can you comment a bit more on the 'crap aero'? Is the Exocet worse that a Miata in that regard? I can comment even further. Here's a video of yours truly and a mechanically identical Exocet (stock 1.6). On a long straight, I'd fly past him. On a low-speed steep climb (hello Watkins Glen! ), it'd be the opposite. Made for incredible fun. A moderately-powered Exocar or Locost is like a chameleon. A supercar from 0 to 60, a Boxter from 60 to 90, and a NA Miata from 90 to 120 (If you can make it that far). So for the guy trying to move to a track car that won't be so horribly outclassed on the straights as my stock drivetrain E30 the Exocet (normal, non-megapower version) isn't going to be much different? Disappointing. Correct. If you watch the vid, you can see that there's a pretty big aero hit. That being said, its a ~90whp 1.6. With a 160whp+ setup, it would be quite diff. Exomotive is a pretty impressive company. They also offer the DBR1 kit which while more expensive gives you a much more slippery body. I wouldn't be the least bit surprised if they were also working on a more modern body to fit on top - something like a front-engined 818 or a Catfish. Speaking of which, have you looked into that product? The DBR1 is from Stuart Mills in the UK, who did the original Exocet design. 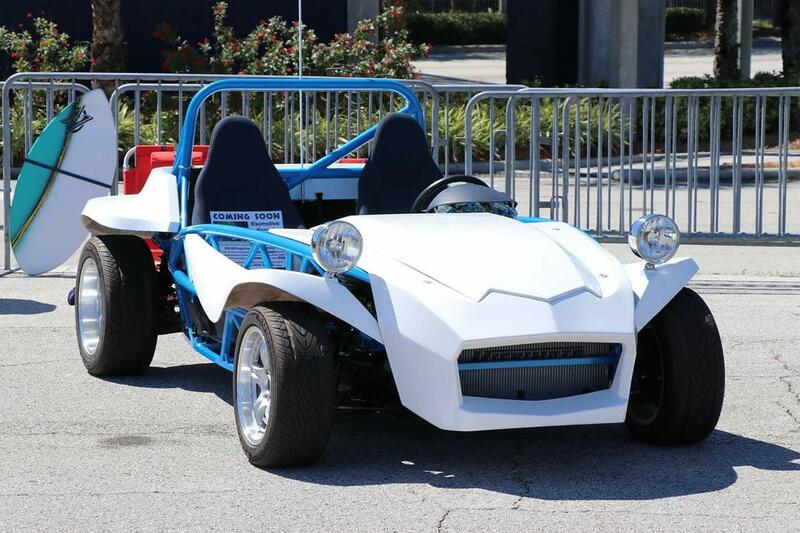 Exomotive had Warren redesign the Exocet chassis for US production and ended up with a much improved product. Warren also redesigned the body. 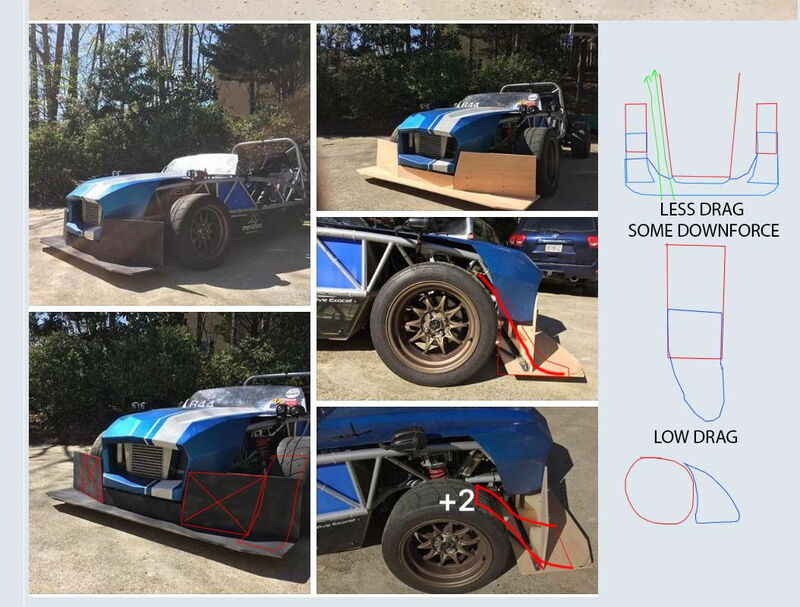 I don't believe Exomotive is working on new skins for the Exocet at the moment. Since Exomotive had the DBR1 on their website, I assumed that they sold it. A body kit would seem like the next evolution of their product, but who knows what the plans and strategy of Exomotive is? They sell it, but that's the extent of their involvement. I'd say it dpeends on the track and the driver. The key with cars like the Exocet, Seven and cars with similar formulas is that you can carry more speed through the corners meaning you have to gain less on the straights to stay ahead or pass cars with a faster straight line speed. Traffic and high speed cars are always going to be a problem, espeically if the drivers aren't skilled at situational awareness to realize they are holding others up. I've taken to going for a spin through the pits to change the group of cars I'm running with or even mentioning to a steward as I wait to go back out that a certain car isn't quite paying enough attention to those around them. 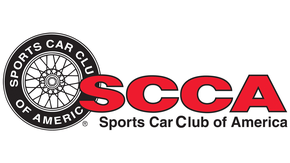 Having run around Spec Miatas at Laguna Seca, I can tell you that an Exocet with a stock 1.8 holds station on the front straight but is faster in corners and under braking. I'm assuming those Specs would be running non-stock "Spec" engines. Bolt on an FM II turbo and the world changes. I found your track day aerodynamic bodywork for the exocet. I know you are joking, but that is a very interesting idea. 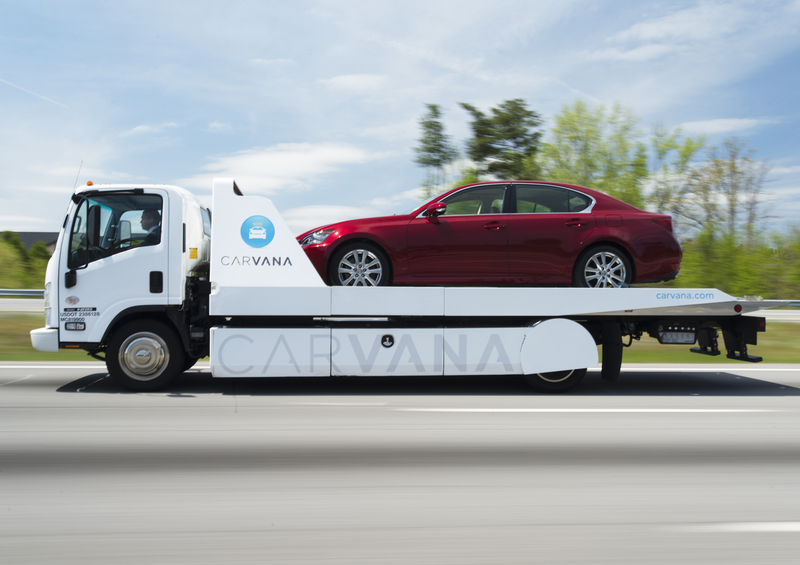 What if you had the car shrink wrapped, and used it as a plug for a fiberglass body? You could add some additional rigid foam under the shrink wrap to help shape it. Like for a potential hardtop. Lay cloth and resin the whole thing. Only half kidding. 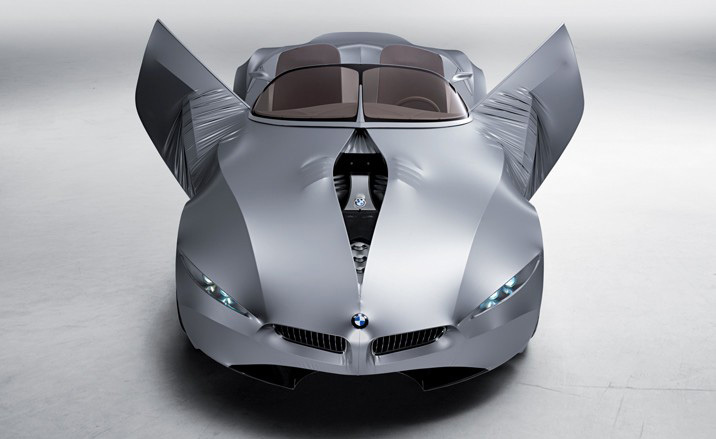 There are airplanes flying around with dope fabric fuselage, so why not this for a track car? The E36 M3 is pretty tough. Other than if it tore off it would wrap around the windshield of the car behind. Now I'm thinking I need to get a boat company to wrap our Exocet and we can announce the new body kit on April 1. I was thinking the same. Plus you don't need gobs of power at that weight to be fast enough to stay ahead on straights on most tracks. Ahh yes, the BMW 'gina! I wonder what a Stitts Poly-Fiber covering, done rag and tube airplane style, would do for the aero. Couldn't possibly make it worse, unless it started to come loose at speed. I like that particular shot because it looks like a gal showing a bit of cleavage. Why do all the tires look muddy? Have you ever been to Road Atlanta? That red clay gets everywhere, and the parking lots are dirt. I am going to be "that guy" I think. I have never liked these things. I just think they are ugly. I mean fell out of the top of the ugly tree and hit every branch on the way down ugly. I don't understand peoples fascination with these. I can see the novelty of owning / driving one of these but I think I would be board with it in a month. 33% faster, to be exact. Very few people argue that they're attractive. The trick is that they're very effective. It's like a hyperactive Miata, everything just turned up to 11 and given a caffeine overdose. They are a full-sized Kart, they aren't meant to be good-looking or pretty. They are all function and very little form and much of that function comes from leveraging the Miata subframes and other major components which makes them a bit ungainly. If you think you'd get bored with one, add the lift kit and go play in the sand/mud/trails. For those that prefer a nicer looking face, there are other options for Miata-based japery like the Catfish or Locost or another alternative body kit for your Miata. The difference is that many of those options are heavier and/or have their own limitations that make the Exocet a better performer in many common situations. Or are more difficult to build, which is the case for both of your examples. The Locost version should be a couple of hundred pounds lighter, the Catfish is far more aerodynamically effective than the Exocet. But Exos are just plain easy to build. I don't hate it. I would not kick it out of my driveway if it showed up one morning. Just over all not for me. Oh and did I mention Ugly? Ugly shmugly. As someone who's owned a sevenesque, it's the attention that get's wearing, whether you like the looks or not. You start contemplating coming off like an a-hole and handing out FAQ cards to everyone who wants to strike up a conversation. I love mine, even with a mild (for now) mostly stock 1.6. Building it was a blast, getting it registered a PITA, but legally driving it worth it. Except it is winter now so I have to wait. Which sux. you cannot be an introvert in this car. Filling up with gas becomes a 30 minute series of conversations. Every time without fail. Kids LOVE it ... the Spiderman Car is often heard. 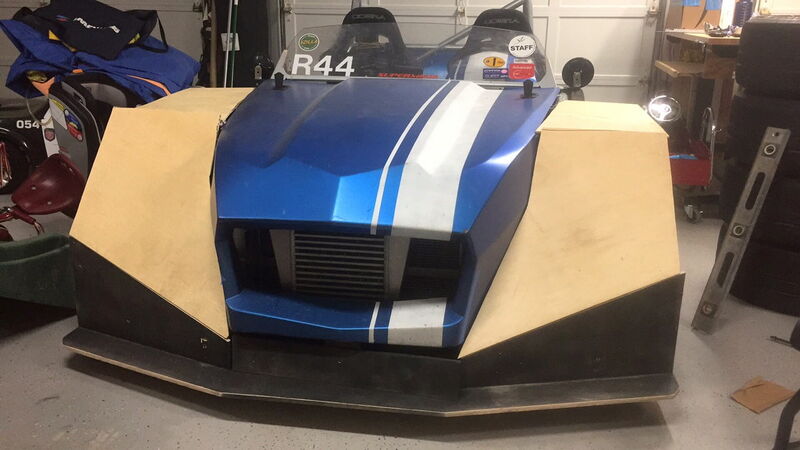 All that said, I would like to see Exomotive come out with an alternative body kit someday. You all are probably going to think I have lost my mind but I think that the Lotus 7 is one of the coolest cars. I would love to have one of those. If you lost your mind, would you mind bringing mine back with it when you do find yours? I'm the exact same, the Lotus 7 is on my list of cars I would love to own, but might just love the IDEA of owning a bit more. I don't understand peoples fascination with these. I couldn't agree more. Exo-cars and deathkarts alike. I'm sure they're plenty of fun drive, at least for a while, but I simply can't get past the atrocious aerodynamics and abhorrent aesthetics. Having some sort of reasonably functional and appealing bodywork is well worth the penalty in weight, cost, and effort to me. Looks and aerodynamics aside, most sevenesques are comparable death traps. 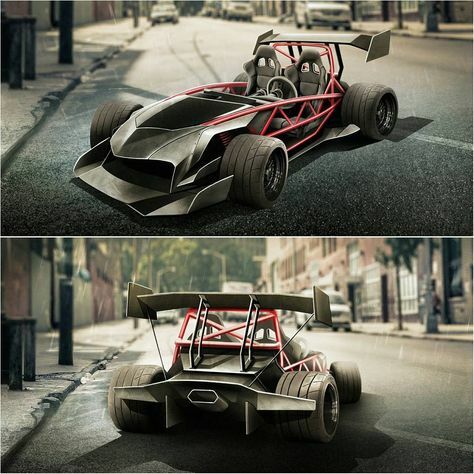 The Exocet at least gives one a fighting chance in an accident. Think about this for a moment: What if you had a car with a power-to-weight of 5:1, yet the side impact protection consisted of a 1" x 1" x 16 ga tube under a sheet of aluminum - pressed so tightly into the drivers compartment that there's no room between the driver's seat and the chassis. On top of that, there's a gas tank hanging in back of the rear axle that fits the same criteria for exposure to impact. It's kind of insane, but that's exactly what you get with most Locosts (although IRS models often have the fuel tank sitting on top of the rear subframe). Local autocross friend bought one a year ago, does not regret. Last I heard he took the turbo off though, said it was great for track days but too much for an autocross run. I think they look like a hoot. I no longer have the desire to have a dedicated track car........maybe I will in the future as things continue to settle down and the finances get better........but I'd really love a chance to drive an Exocet around Hallett for a weekend. My local track is the perfect kind of place for that car, tight and technical, without big long power straights of places like Road Atlanta or Road America. My 1.6 Miata driven well wouldn't even hit 100 down the front straight at Hallett. And that was going CCW DOWNHILL on the straight following a third gear corner. Remember dune buggies/sand rails built on beetle pans? Well it's been almost 40 years since the last beetle was made in the US, this is just the modern day version of that. And just like dune buggies, they aren't for everyone. Personally one of my goals in life is to own a v8 powered, tube frame, wide tire hot rod for street use. That's because you haven't driven one. Once you get a taste of a really light car, you start to chase ounces. And because the car's so light to start with, every ounce has more effect than it would on a bigger car. Some people can get a little crazy with it but it really does work. Lotus Sevens are pretty. Exocets are not. Aerodynamically, I think the Exocet is even worse than the Seven and it would be a good senior engineering project to come up with a slippery body that adds, say, 10% more weight. On a fast track, it would probably be worth it. My Seven was a rocket up to about 65 mph. But they can be wearing to live with. I sold my Seven because I just wasn't driving it. It was so involving, so immersive that you couldn't use it for anything but Driving. And my days of going for a Sunday blat just don't happen anymore, so it sat. Once I got a second track car, it didn't even have that as its primary purpose. I will admit to tearing up as I took it for the final drive, a number of laps of Horsethief Mile in warm California December sunshine. It was the perfect send-off, the car was in its element. The reality is that those moments just didn't come across that often. Safety: here's an Exocet frame beside a Westfield. Yes, they are built for the same size people. There's probably a 250 lb weight difference between the two cars in finished form. The floors are level with each other. The bolt-on roll bar on the Westfield is not installed. That's because you haven't driven one. Once you get a taste of a really light car, you start to chase ounces. Meh. I may not have driven an Exocet specifically, but I have driven cars that were even lighter while still having bodywork as well. Yet never once did I find myself thinking "You know what would make this better?....Removing the bodywork." I can say with confidence however, that I would think the opposite with an exo-car. In fact, years ago I drove the same ultra-lightweight car both with and without bodywork. Sure it was still fun without the bodywork, but I would not choose to own it in that condition...Let alone specifically seek it out as such. "Meh". What does that mean? I always read it as "this is too hard, I can't be bothered". I'm assuming that's not what it means, but I'm what they call an "old" now so I'm not allowed to know these things. So you've driven lightweights - sub-1500 lbs - so you . How much weight did that before/after drive with the bodywork save? Where did you drive it? Was it an open wheel car or enclosed? One difference between an Exocet and just about any other Miata-based kit is the fact that it's basically an open wheeler, and that does make a big difference to how it feels. Pulling the bodywork off an open wheeler wouldn't make that much difference, but it would on an enclosed car like a Sports Racer 2000. I'm not saying that they're better because they don't have bodywork. I'm saying that light is good ,and lighter is betterer. On, say, an autox course, bodywork doesn't get you anything but something to collect cone scuffs. At Laguna Seca, you can take advantage of better aero for sure and I'd probably prefer the Catfish over the Exocet for that reason. They're not as carefree feeling to drive - probably the open wheel effect - but definitely quicker despite the extra 200 lbs. In this context, 'meh' means that I'm wholly unmoved by arguments that make overstated assumptions about my experiences and and the basis of my opinions. However, your definition of 'meh' does correlate well to the impression exo-cars give me about the thought process that might have occurred about the bodywork once the mechanicals were completed. The car I drove with and without bodywork was a low-speed ultra-lightweight open-wheel competition (FSAE) car. 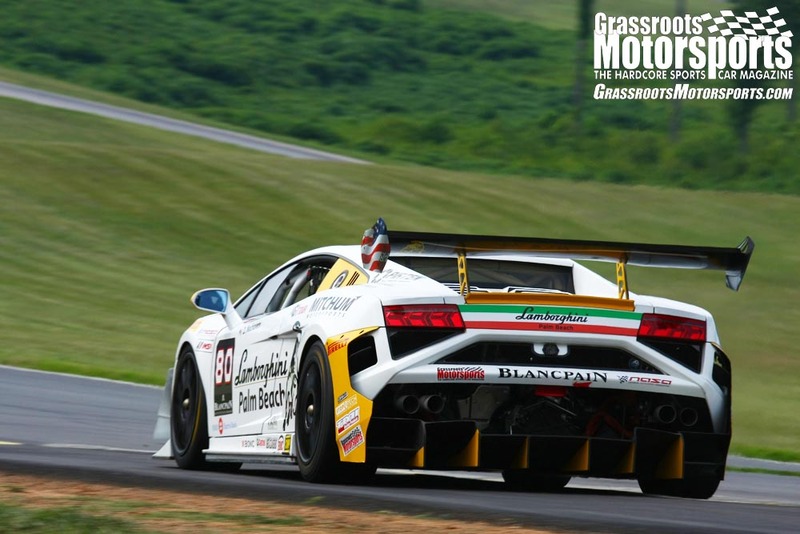 The bodywork itself was very light, but on a sub-500 pound car every ounce counts from a competitive standpoint. We did even try to skirt the bodywork rules to a point on one car, with bare exposed structural panels and mesh fabric over an open expanse above the drivers legs. While there may have been some benefit to it from a competitive standpoint, like ending up the lightest 4 cylinder car with 13" wheels at the competition IIRC, I do not believe it actually made for a 'better' car that I would more want to own and drive outside of that one very specific event. In much the same way, driving a 20V 4AGE powered Locost hasn't altered my plan to build mine with a full (Lola Mk 1 inspired) fiberglass body that cuts the drag coefficient by ~1/2, despite the weight gain it will incur. Lighter is only better up to a point. Up to a certain point is true, but that threshold is different for every individual. And use. As noted, the advantages of aero may become more important than weight above a given speed. Even chassis rigidity - I've found that autocrossers value light weight over chassis rigidity. Adding a enveloping body to an Exocet may make it slipperier at the cost of 200 lbs (the difference between a Catfish and an Exocet of similar spec) which may have benefits at a fast track but will hurt it at a slow one. If we're just talking aesthetics, well, there are no absolutes. "Better" all comes down to "what I like", and you can't really get any more specific. There are differences in how it feels to be exposed vs enclosed as well, which really comes down to personal taste. Even motorcycles have this sort of division. And Drive5, when you say you haven't driven something, I usually make an overstated assumption that this means you haven't actually driven something. Don't take it as saying "you just don't know any better". When you say "I'm sure they're plenty of fun (to) drive " - an actual quote - that sounds like you haven't actually driven any. I apologize if you took my response as some sort of slight on your experience, but it was solely based on your own statements. I have driven Miatas ranging from 2100-2800 lbs on track. Also Exocets that ranged from 90-500 rwhp, Catfishes and Locosts built with Miata drivetrains. That's where my views are coming from, the same basic chassis viewed from a bunch of different forms. I've never driven an FSAE car unfortunately. I would much rather have this. Than an exocet. I think GRM needs to convince owners and or the manufactures of a bunch of these types of cars to come out and play and a GRM sponsored test and have GRM do some real world testing. Autocross, track, maybe even dirt? It would be cool to see a head to head review of these types of vehicles. I think the big thing is we that live north of the mason dixon line tend to like a bit more of an enclosed vehicle where in the south that is probably much less of a priority. Don't take it as saying "you just don't know any better". I do get that you may not have intended it to be perceived as a slight, and that you probably deal with a lot of people in your line of work who might not have a reasonable basis for some of their opinions, but I also honestly don't know what else to take it as when essentially being told that experiencing one would change my mind. When I say I haven't done something in particular, like drive an exo-car, that doesn't necessarily mean I am lacking in a composite of enough other relevant experiences to know my mind on the matter either. It still gets plenty cold here, for us at least, I ran to the store this morning to get a Red Bull (yeah I know they are cancer in a can but for some reason I love the way the sugarfree ones taste)................it was 25 this morning when I pulled out of the garage. This time of year most parts of the human anatomy don't take well to being exposed to constant wind velocities of more than a couple MPH for any length of time up here. If I ever had an Exocet it would be an HPDE, nice weather Cars and Coffee, type deal. Up here that is only three months that works for. June July and August. Just think of them as motorcycles that don't fall over and dress accordingly. There's actually an Exocet that has a Catfish body. The thing is, the Exocet chassis is a bit compromised to get the Atomesque look. Those big sweeping upper tubes kinda get in the way of your elbow and a bent tube is a pre-failed tube. They also stick out between the wheels so you can't do a fully open look like the second car. 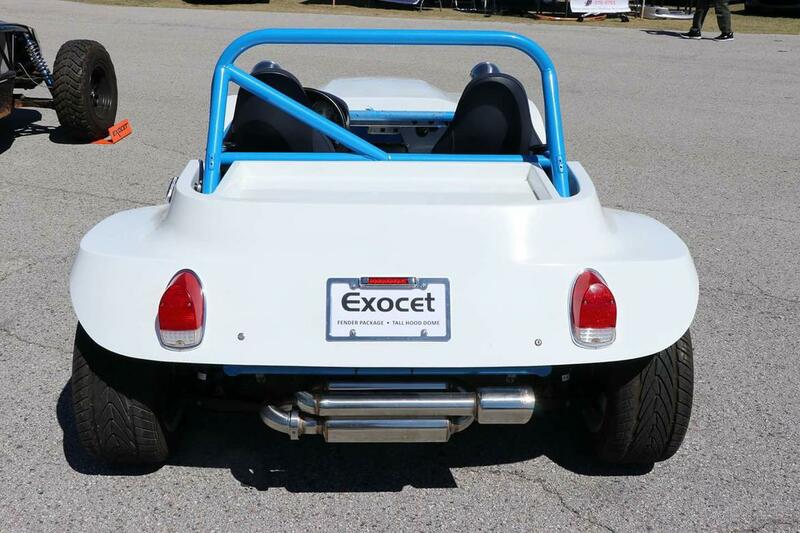 If you were designing a chassis to go under a variety of bodies, you wouldn't end up with the Exocet. 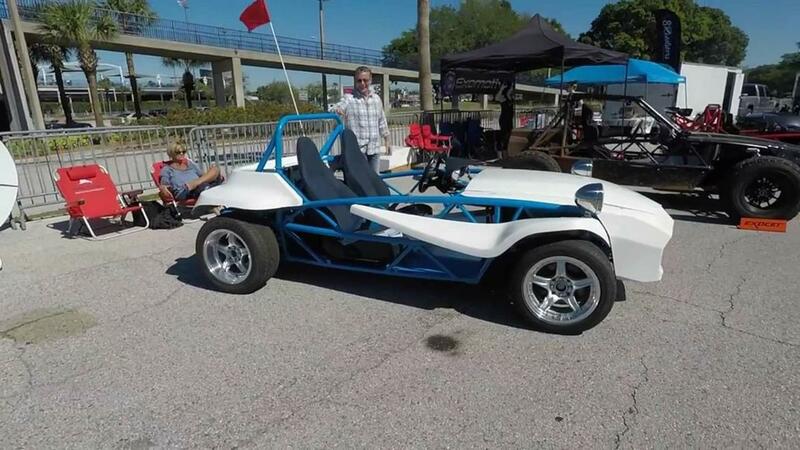 There has been talk of rebody options and IIRC there's one that's got a real beach buggy vibe to it. Not to everyone's taste, but cool. It's got sodium bicarbonate in it. It tastes like drinking toothpaste. And yet, yes, it's oddly compelling. I would like to see some more views of that top body. It looks interesting. How did the catfish body on exocet happen? My understanding is Bauer won't sell a body seperately. Who is talking of a rebody for the Exocet? The beach buggy would be cool with a lift kit and mud tires. Apparently Bauer will sell at least one. I did not interrogate the owner but I’ve had a good look at it. It’s pretty funny to look inside the cockpit and see those big arcing side tubes. There’s a guy on the FB group who’s doing a body, and there was one at PRI with extra panels. A few are screwing around with aero as well. Purely an enthusiast rendering. Iirc Warren had concerns about the ability to produce it. As far as I know, that’s the only view that’s been generated. It would be easy enough to create something in that style via cardboard aided engineering. Might be fun to spend some time with some old boxes and packing tape. And a set of 24” wheels. More on this: check Starr Creations LLC on Facebook. They’ve rendered a swoopy body. The Baja Bug style one is buried deep in the Exocet FB group so I cannot find it. Another rendering from Yasid Design which is just Photoshop phantasy, but may work as inspiration for someone talented. Me again! Thanks to one of the builders on the Exocet FB group, here’s the Manx-ish Exo. I believe retail is in the plans. Given that the Exomotive “Offroadocet” is beside it, it’s probable that Kevin knows details or at least contact info. Ha! That "Manx-ish Exo" body is awesome! I REALLY like the buggy body .... something for me to save some shillings to eventually buy !! And to be perfectly honest, the "lipstick on pigs" one is very appealing to me if they smoothed out the lines! I was really hoping the manx body was going to be more of a 1 piece design, but it looks pretty cool anyway. I also really like the Yasid Design Render. It looks like something that could be incorporated into the existing bodywork. THIS. The want would go up to 11. In the late 1970’s. I Vintage raced a 427 Cobra. There is no way my little Six cylinder Jaguar could stay with him out of the corner but by the end of the straight at Brainerd I’d go by him on the high side. The main straight is over a mile long leading into a banked turn followed by another 1/4 mile before a 90 degree turn. He’d actually tuck in behind me in order to stay near me as I entered that tight turn where he’d eat me up coming out of it.